Rolls Royce Phantom Wedding Cars aim to provide that extra special sparkle to your day with our wedding car hire packages. 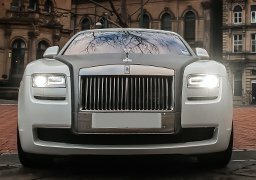 Rolls Royce Phantom Hire Leeds understand that a great Wedding means a lot of time and effort planning beforehand, which is why our Wedding car hire service is the best you can get. 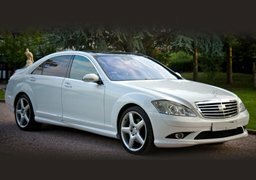 You can choose from our Wedding Rolls Royce Phantom Hire, Rolls Royce Ghost hire, Mercedes ‘S’ class hire, Jaguar XJ hire or from our range of stretched limousines that are sure to make you feel special on your Wedding day. Your Rolls Royce Phantom Wedding Car Hire or Wedding Limousine can be dressed in ribbons of your choice. 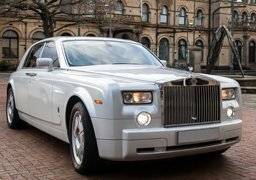 Whether you are planning the perfect wedding or civil ceremony in a church, registry office, or any other location, Rolls Royce Phantom Wedding Cars Leeds can tailor to your every need. 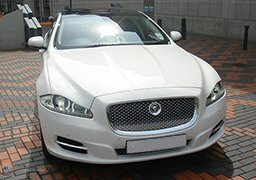 We guarantee you a Wedding Car to remember.